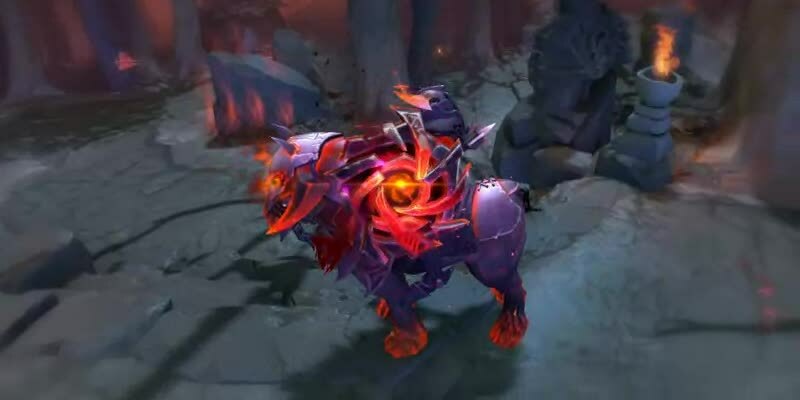 25% of all Battle Pass sales go directly to The International 2017 prize pool. 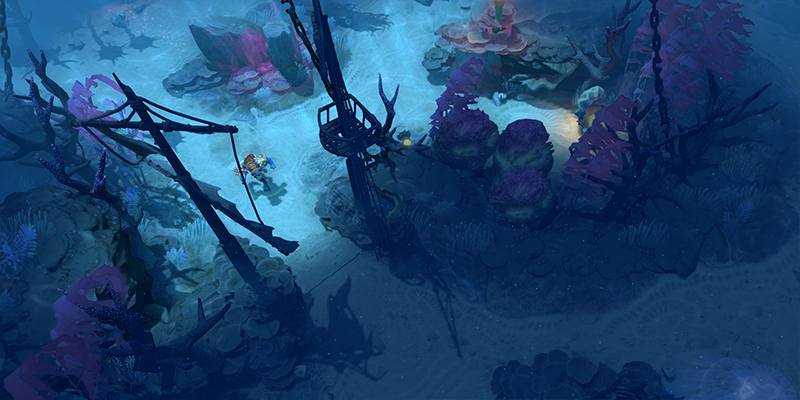 This summer, all Battle Pass owners are invited to undertake a cooperative adventure into the blackest depths of Dark Reef. 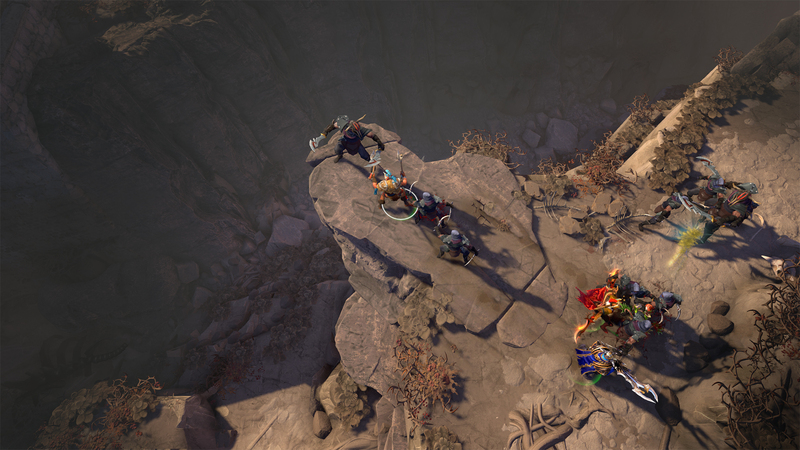 Available to play later this month—and with Act II arriving in July—this all-new campaign calls upon you to party up with three friends or queue-met allies to battle through a diverse landscape of loathsome monsters, cunning traps, and other lethal terrors. 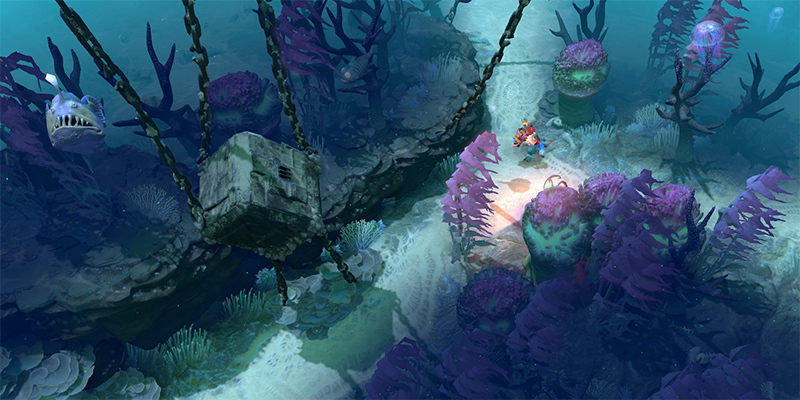 With the fate of Dark Reef and the safety of the free seas hanging by a fish-gut thread, you'll need to work together if you're to find any hope for survival. 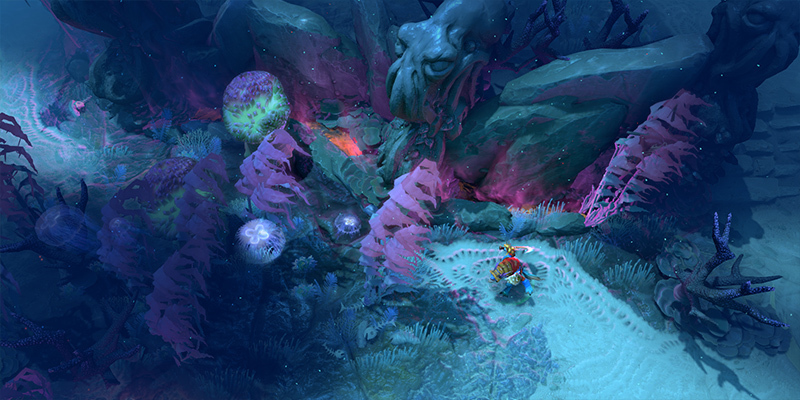 As Act I opens, a dormant evil stirs in the depths of Dark Reef, with only the secret Conclave of the Brine prepared to face it. 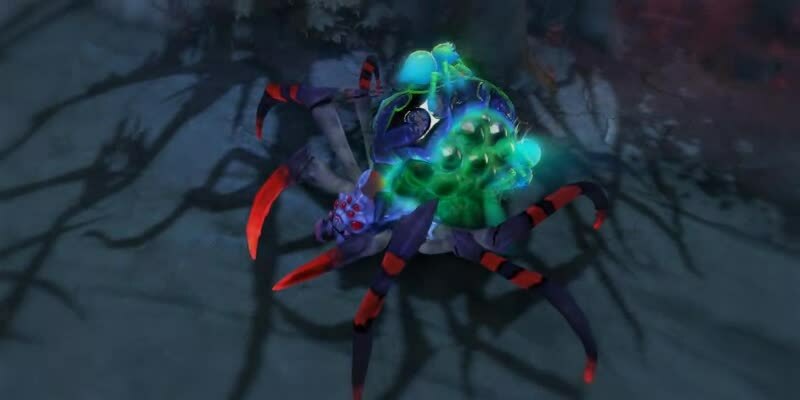 Will you answer the Conclave's call and journey to halt this dark power's ascent? No good deed goes unpunished, and the monster hordes are out in force to make sure you meet a fitting end. Stick together and stay alert. You might just stand a fighting chance. Earn up to 3 stars in each zone in the Campaign. 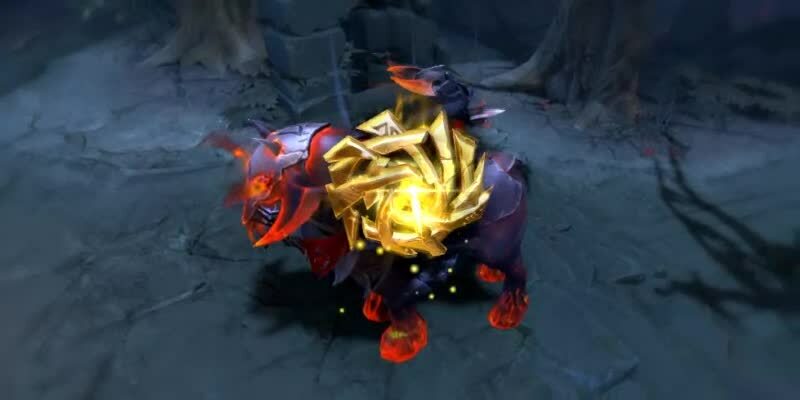 Stars 1 and 2 grant battle points, and Star 3 grants Siltbreaker’s Treasure, which includes an extremely rare chance at the exclusive Desert Sands Baby Roshan. 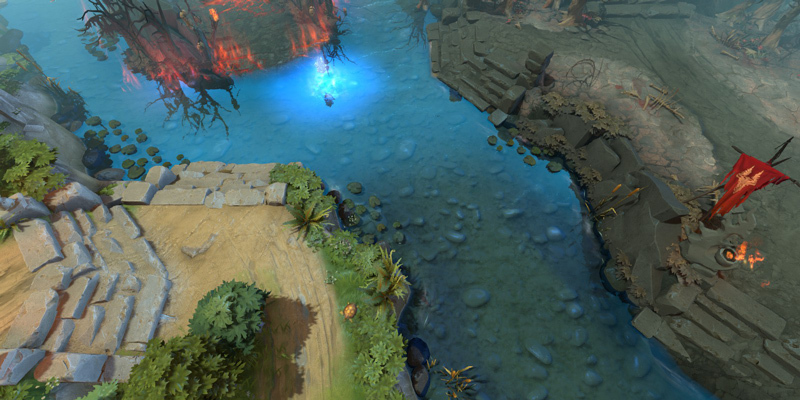 If you have achieved Battle Level 165, then getting 3 stars on a zone also grants you an extra Siltbreaker’s Treasure. 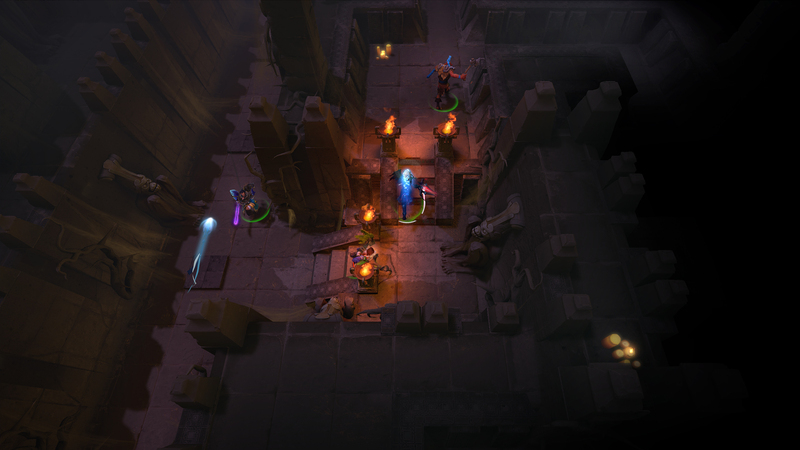 This year's Quests receive a new type of mission with the addition of a team-objective Path. Work together with your teammates to complete single- and multi-game goals. 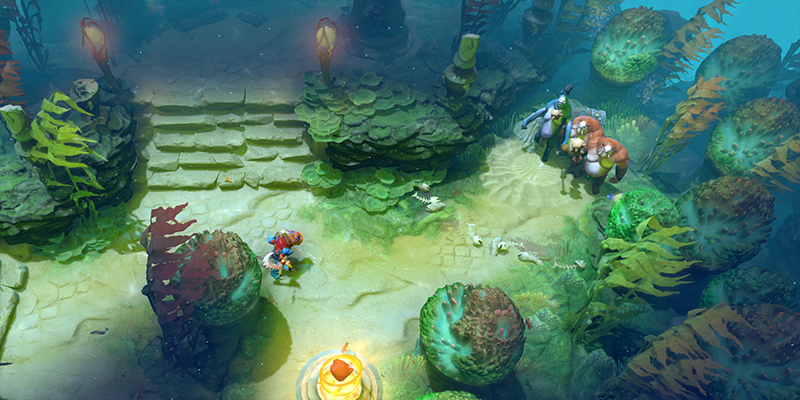 Like all Quests, these special assignments net you extra Battle Points, and even a Completion Reward unique to that Path. 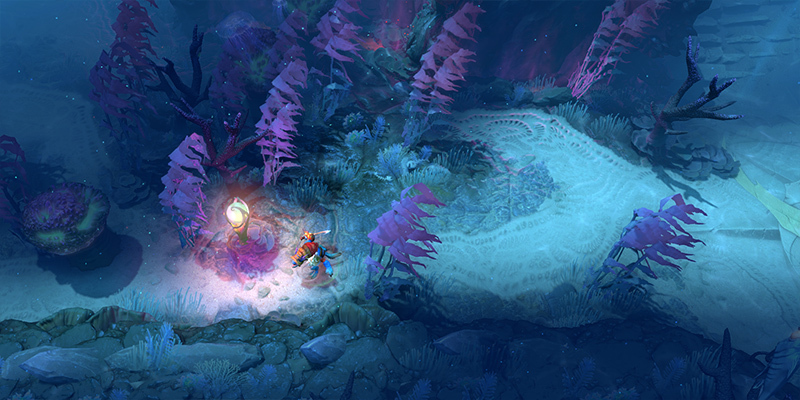 Complete the Path with enough stars, and you'll unlock a style upgrade for your reward. 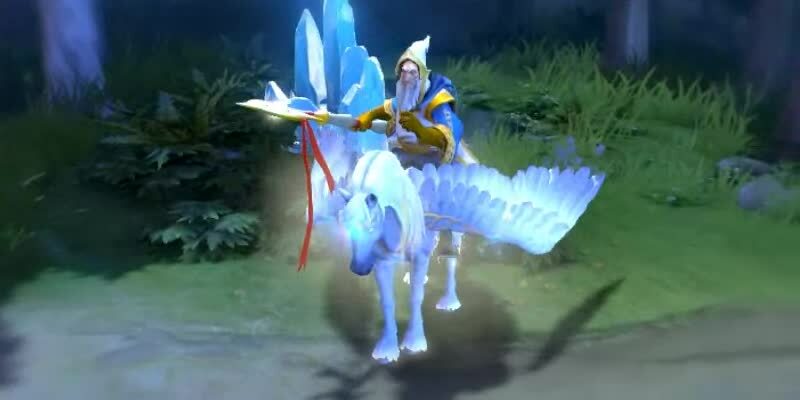 Want to show off your Dota expertise to the world before you even choose a hero? Now you can use your vast knowledge to real effect: answering trivia questions! Work alone or match wits with your friends to choose the right answers and best the global competition. Correct answers will award double points if a majority of players guess wrong. 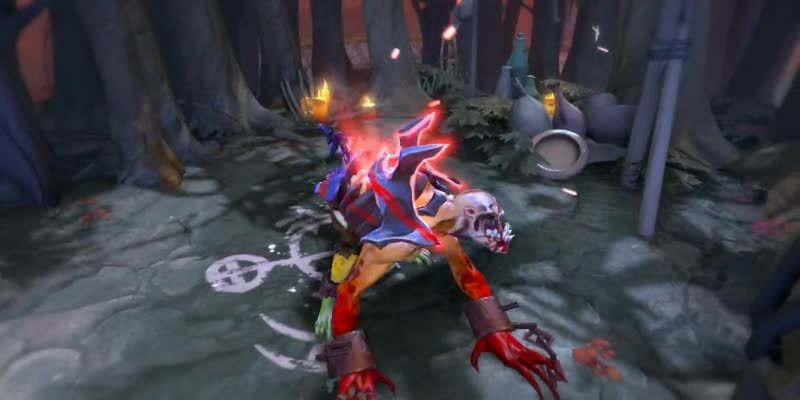 With a cycling variety of questions, and a Trivia chatroom inhabited by both friend and foe, you can buff up on the finer points of Dota and work towards Battle Level-boosting Trivia Achievements simultaneously. 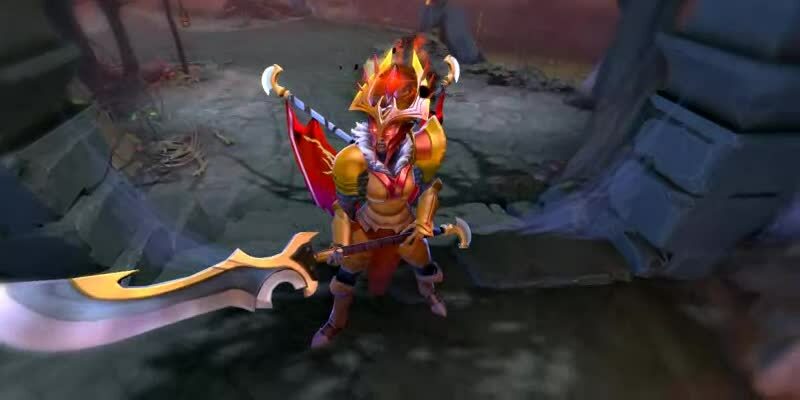 Collect a full set of Fantasy Player Cards for a team to unlock special Teleport Effects, Profile Icons, and Effigy Flags that you can use to show your support for your favorite five-man. Collecting a full set of Silver or Gold cards will grant upgraded versions of each reward. 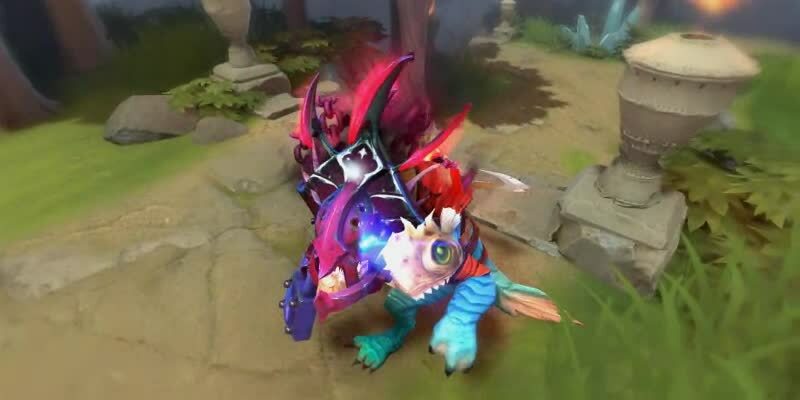 Battle Pass owners now have the opportunity to double down on the MMR they're willing to put on the line. 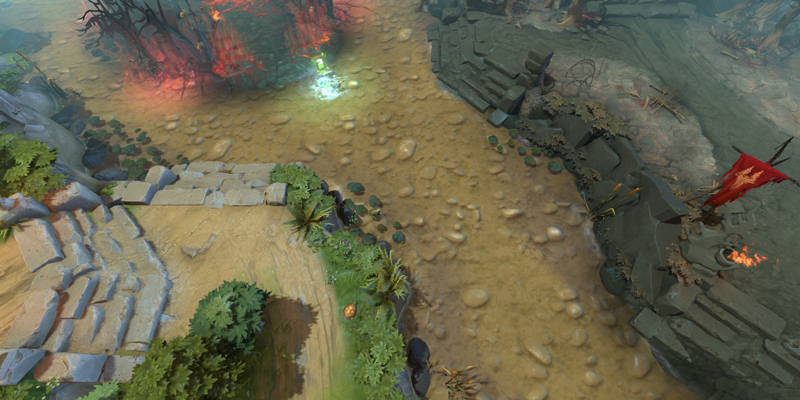 At the start of a Ranked match once per week—with more chances available at higher Battle Levels—you'll have the option to double your potential MMR loss or gain. Win the game, score twice the points. Lose, and you'll fall ever further down the ladder. Stand out from the crowd with a Relic that bestows an exclusive emblem effect upon your heroes until next year's International. 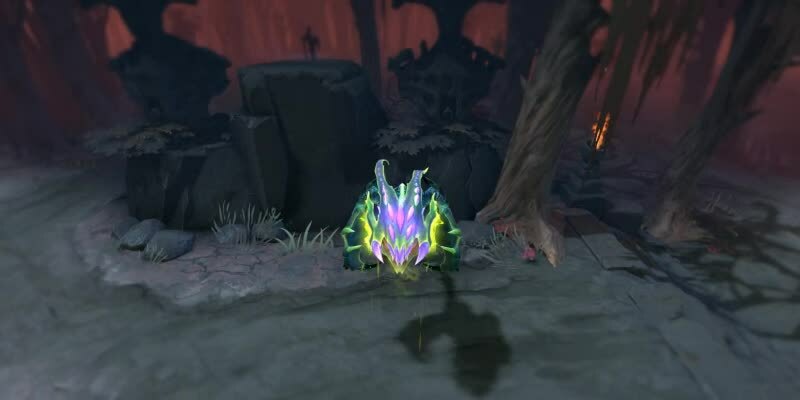 Each week, ten Battle Pass owners will win a Relic they can equip as a Global Item on every hero. 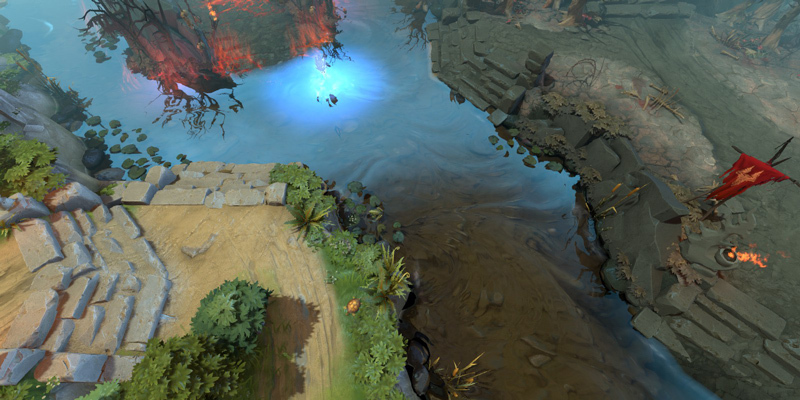 Just play three matches to earn your weekly drop in Slark's Riptide Rumble. Then, it's just a drop in the bucket to walk away with the grand prize or extra Battle Points. 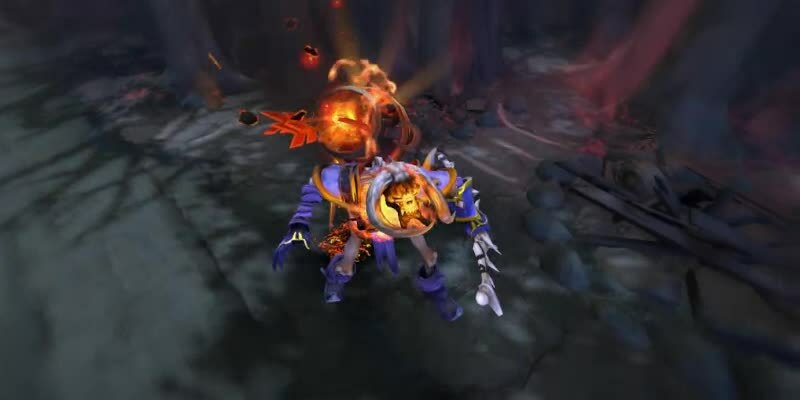 Anyone can demo the relic in the Global Items loadout, and any Relics won will be immediately tradable and marketable. It has become tradition. 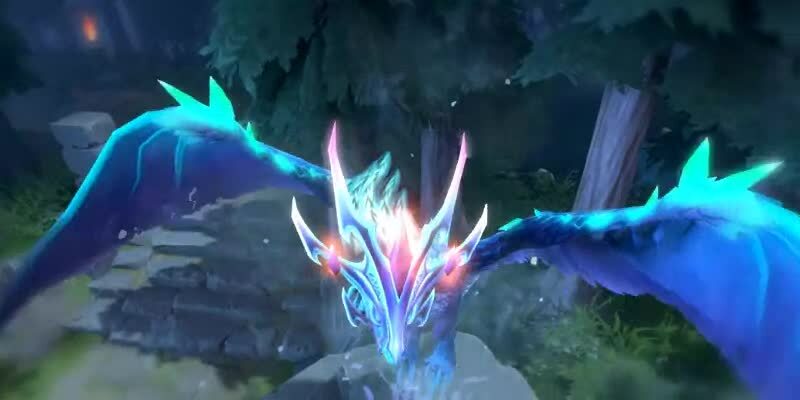 Once again, the community of Battle Pass owners is invited to select the next hero to receive a coveted Arcana item. 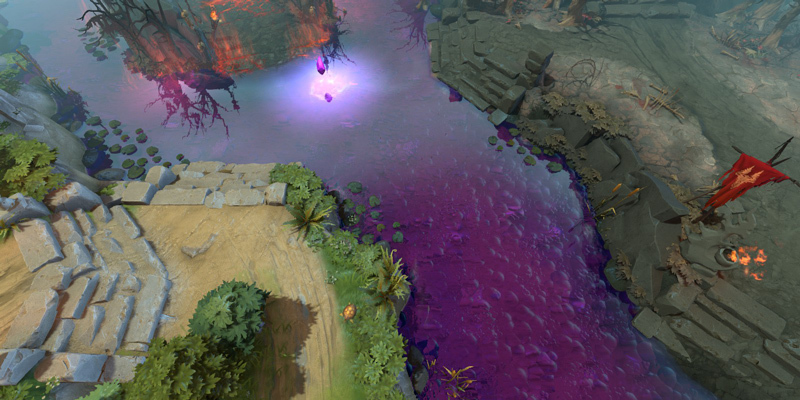 With a history of fierce contests and surprising outcomes, the Arcana Vote helps define the shape of the things to come. Battle Pass owners can join matches with other players striving to reach their highest potential. 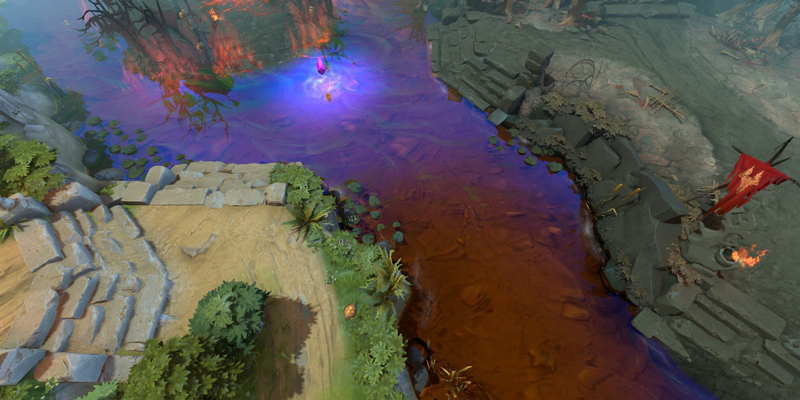 Start with a new MMR calibration and track your progress throughout the season. 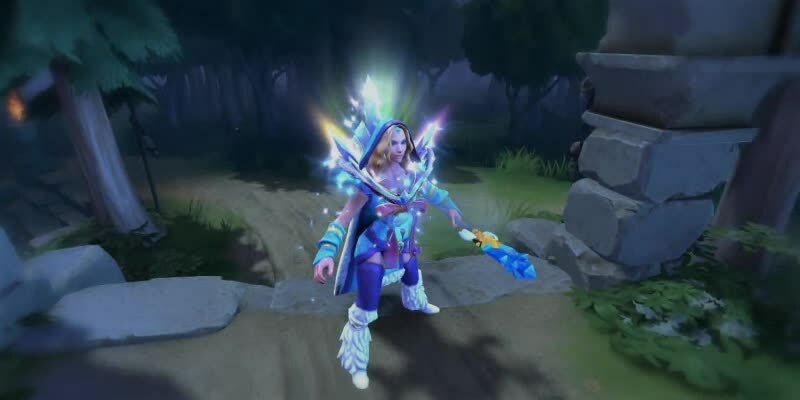 Play 40+ games by the end of the season, and you'll have the option to replace your normal Ranked MMR with your new, hard-fought Season MMR. Tournaments aren't just for the pros. 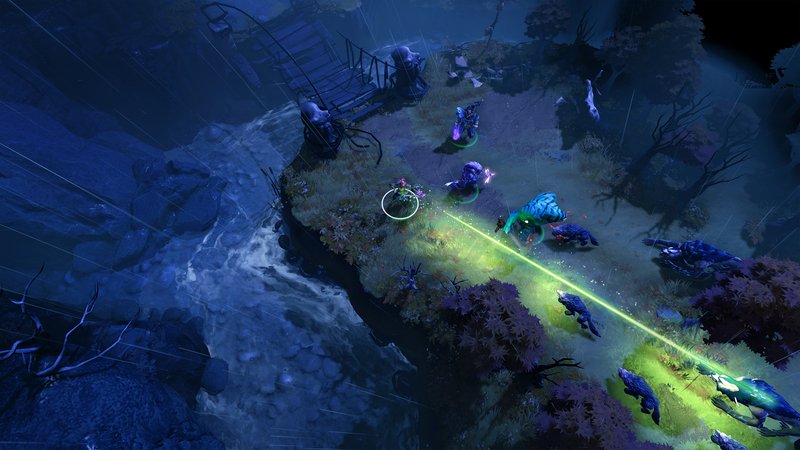 Each weekend during The International season, all players can challenge themselves by joining the Weekend Battle Cup, where they'll be placed in eight-team, single-elimination brackets against evenly-matched opponents. Feeling confident in your powers of prognostication? 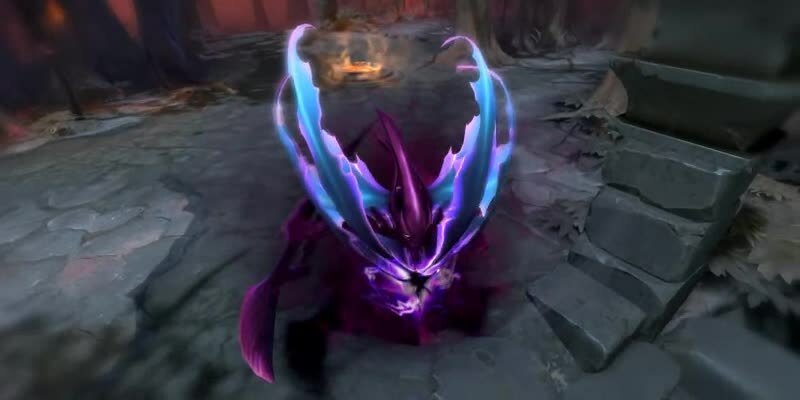 Predict the final prize pool for The International in your Battle Pass Compendium, and you'll be in line for 10,000 additional Battle Points. 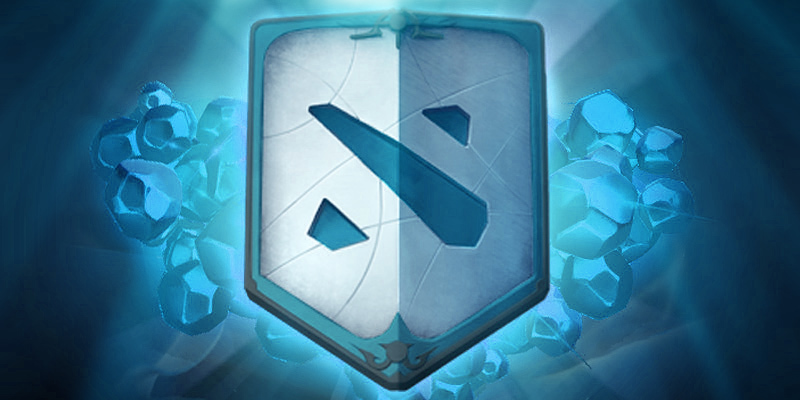 All Battle Pass owners also receive The International 2017 Compendium, your digital companion to the biggest tournament of the year. 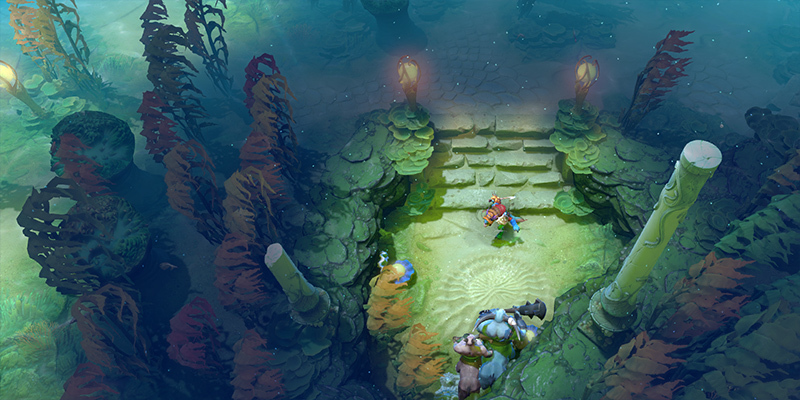 Click over to your Compendium to fill out predictions, set your Bracket, undertake the Fantasy Challenge, check out tournament info, and more. 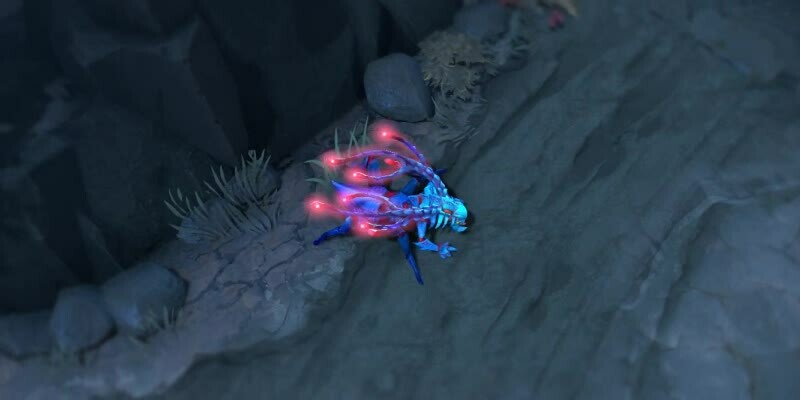 Immortal items cannot be traded or marketed through The International 2018. 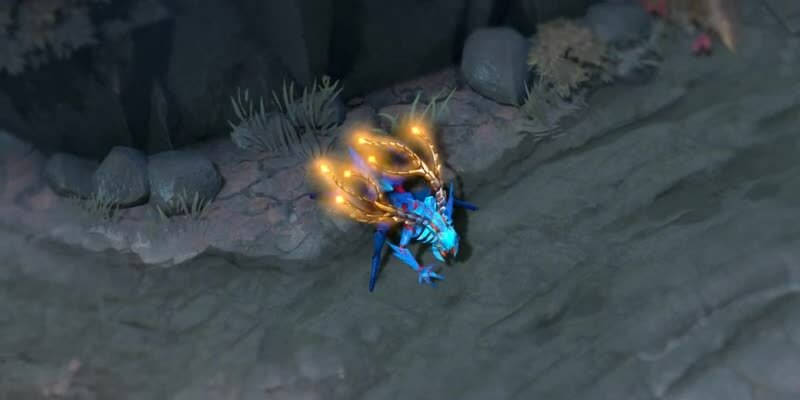 Until then, each item can be gifted once, and ultra rare items can be traded immediately. 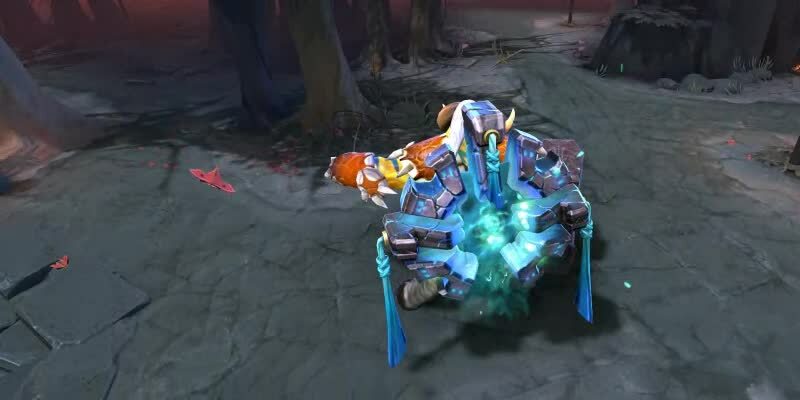 In the Dota community, the right sound bite can describe a moment better than text or emoticons ever will, and with the addition of sound effects to the in-game chat wheel, players have a powerful new way to express themselves. 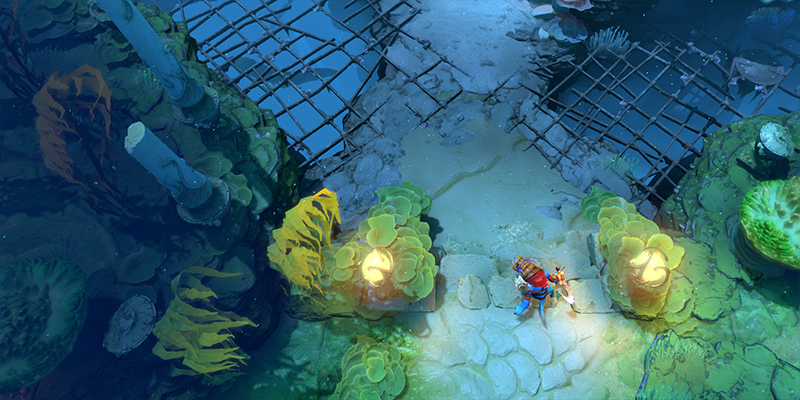 Earn new sounds as you roll along the Battle Pass Rewards path, and let the world hear how you really feel. 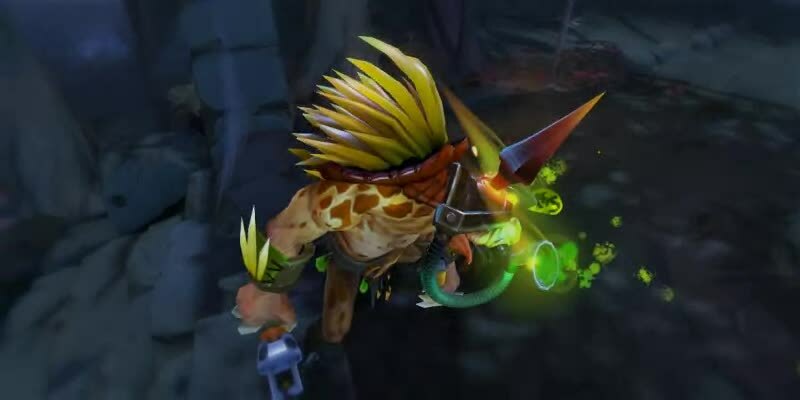 A team-chat sound can be played twice every 30 seconds, and all-chat sounds can fire once every five minutes. 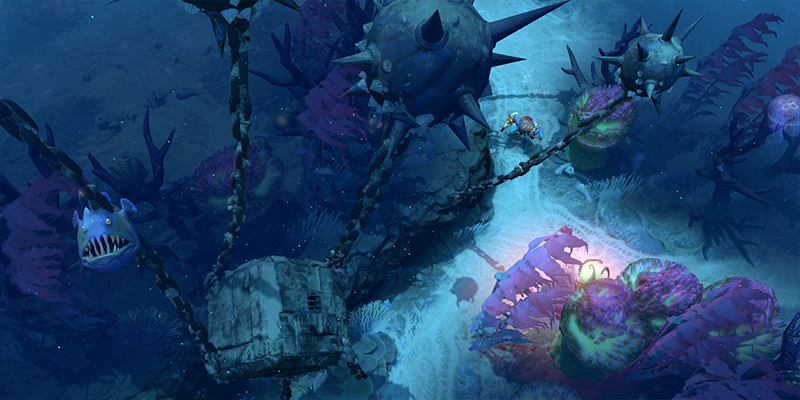 Plunge deep into the Battle Pass rewards with a trip to Dark Reef. 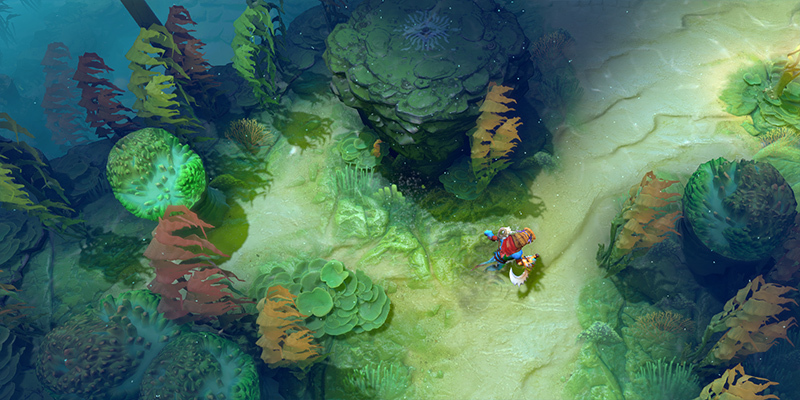 All pass owners who reach Battle Level 150 will be permanently awarded the Reef's Edge Terrain. 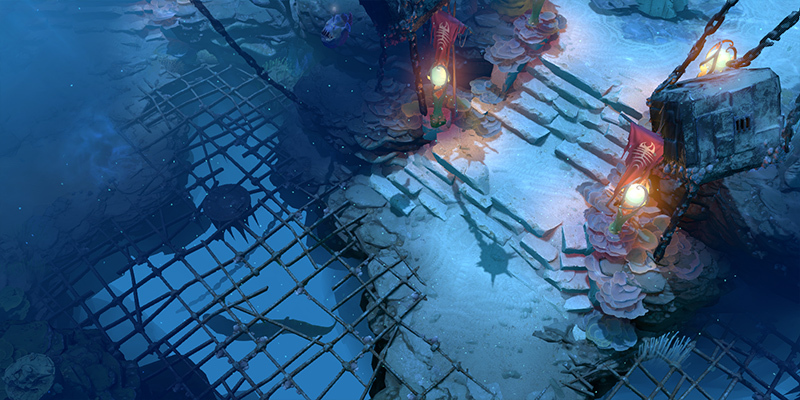 Sail your Battle Pass to level 225 to unlock an upcoming Kunkka Prestige item and Quest Path. 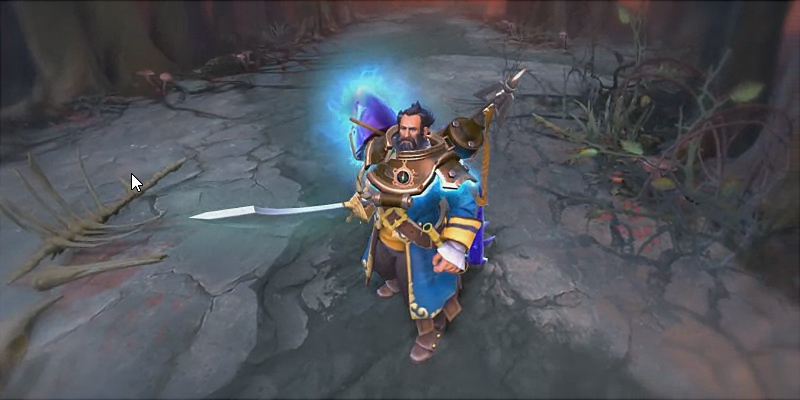 Complete Kunkka's Path to receive a style unlock for the item. 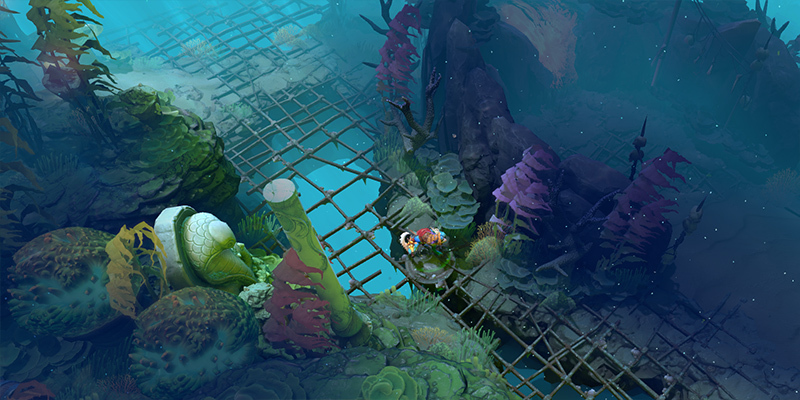 With the ship from Kunkka's ultimate ability replaced by a massive ghostly predator that hungers from the deep, your enemies may never go near the water again. 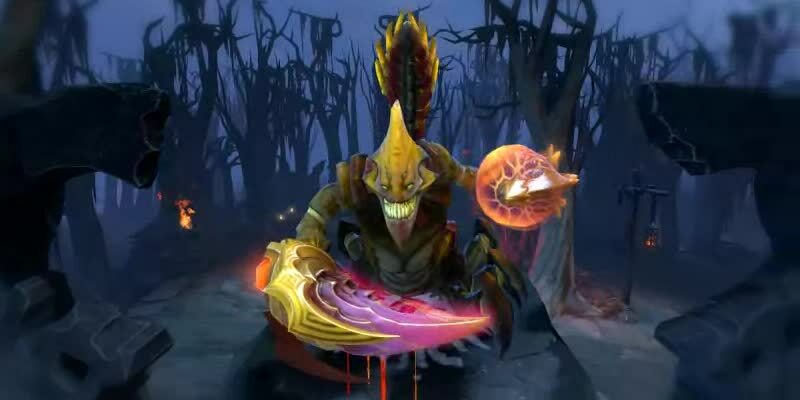 Battle Pass crew that rise to level 75 will be granted the upcoming Kunkka & Tidehunter Announcer and Killing Spree bundle. 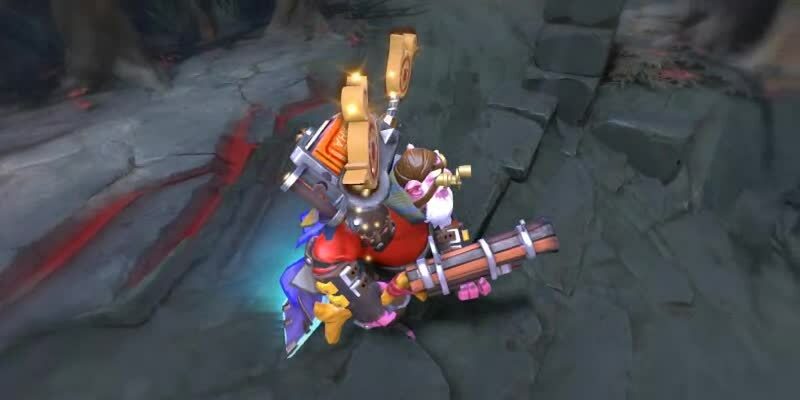 Replace the default announcer with this pair of naval nemeses who always bring the right kind of salt into each game. 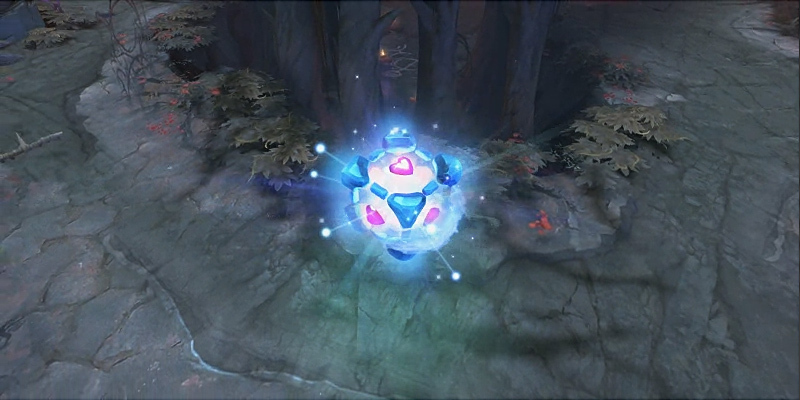 All Battle Pass owners who crest level 245 will receive the exclusive Io Companion Cube Arcana, complete with custom animations, effects, and kill sounds. No matter where the tide of battle takes you, the bonds of friendship will always carry the day. 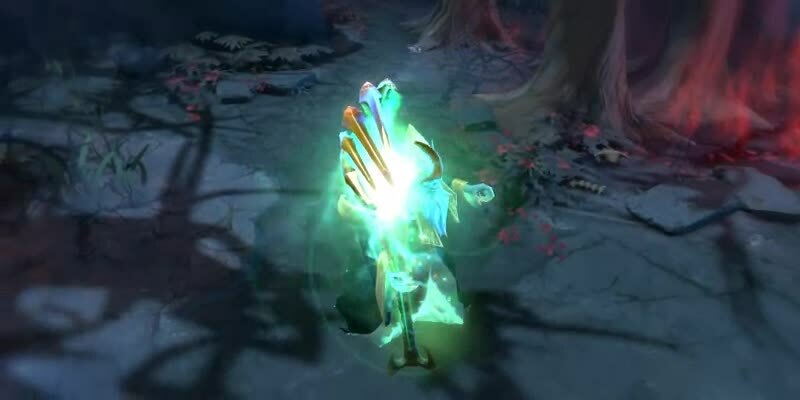 Each Trust of the Benefactor contains one of the three 2017 Immortal Treasures, plus the ultra-rare chance to receive an additional treasure containing one of a number of limited-run items. 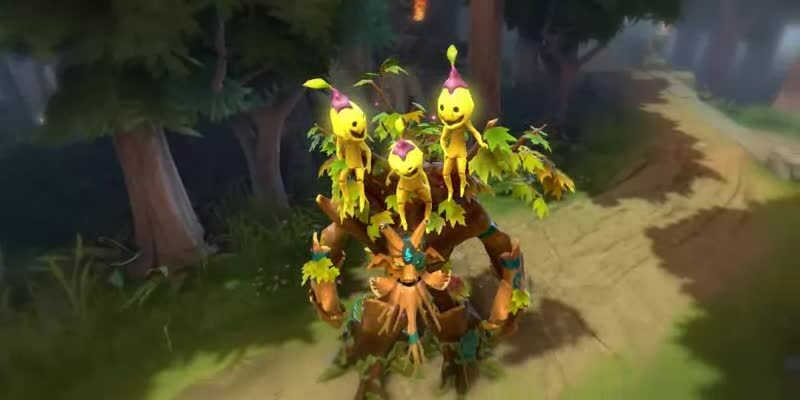 "In the Spirit of Peace"
No matter if you need an item-completing recipe or a life-saving TP scroll, Hermes' arrival always delivers a smile to even the crabbiest of faces. 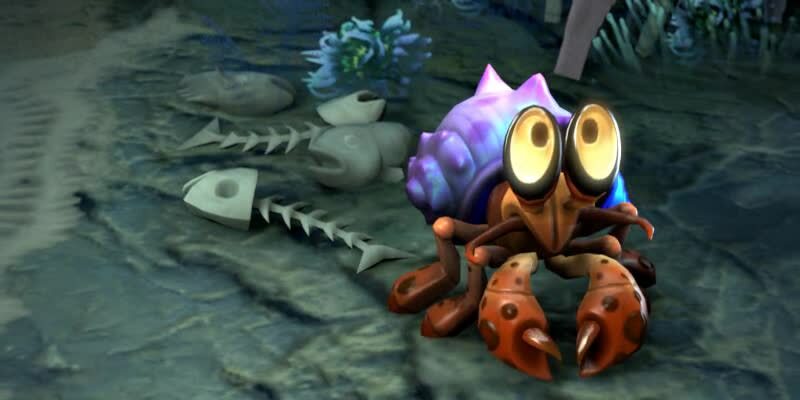 With eight additional style unlocks, you can increase Hermes' level to upgrade his shell in recognition of his battlefield contributions. 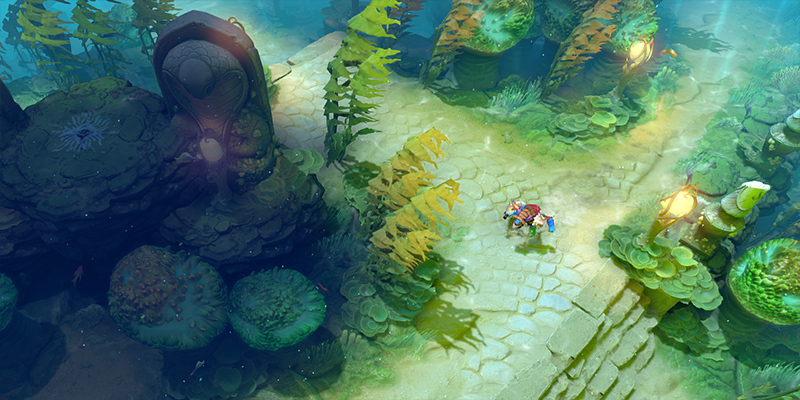 In addition to everything above, you'll also get infusions of new rewards like the Seasonal Terrain, Evolving Ward, Music Pack, Emoticons, and more as you flow along the Battle Level track. 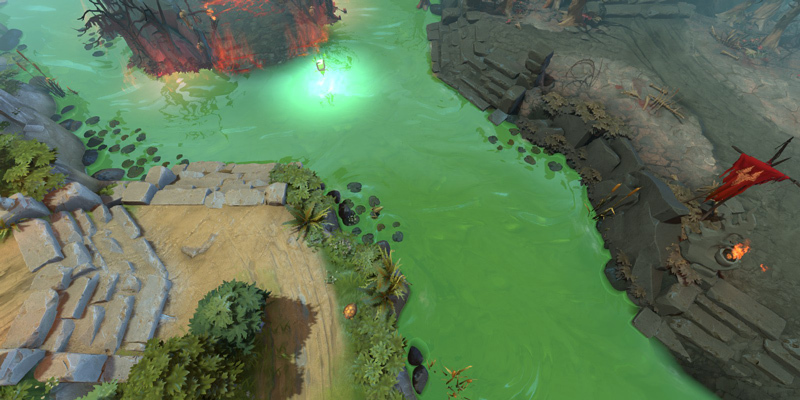 No matter how far you go, this year's Battle Pass will leave you swimming in rewards. 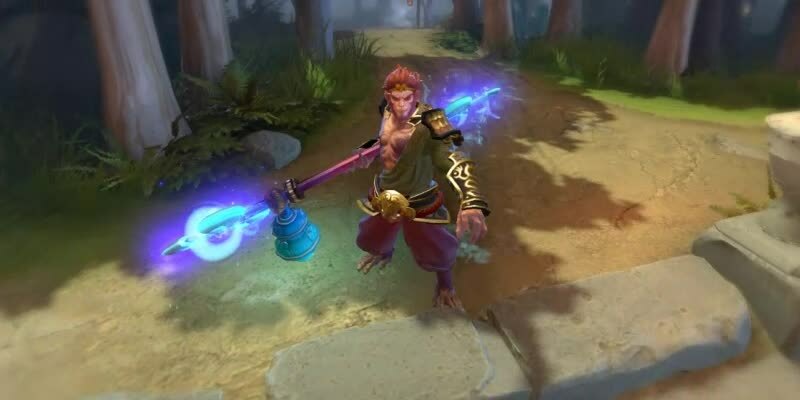 Commemorate the competitive season's crowning event by claiming your own Aegis of Champions. 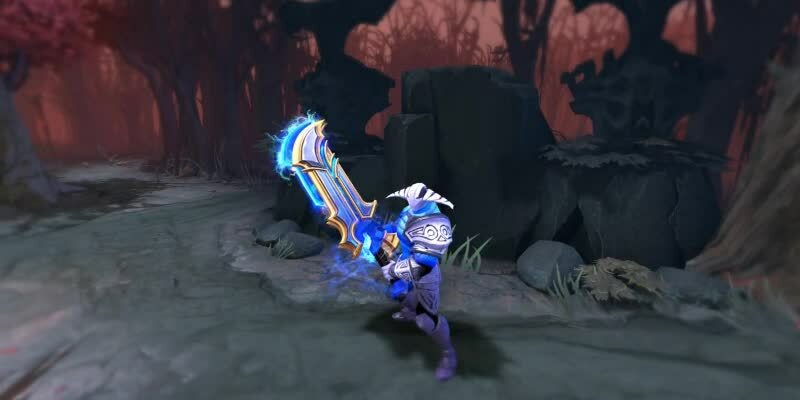 Those battle-forged legends that make it to level 1000 will receive a special glow effect for the in-game fountain Aegis and an invitation to receive The International 2017 Collector's Aegis, an exclusive 1/5th-scale alloy replica of the famed champion's prize.